Hanahan – Richard Paul Morgan, Jr. passed away Wednesday morning, February 27, 2019. Richard was born February 13, 1946 in Olney, MD to the late Richard Paul Morgan, Sr., and the late Jean Elizabeth Beall Morgan. He retired from the United States Air Force in 1986 after serving multiple overseas assignments in communications electronics – cryptographic maintenance. He relocated to Charleston, SC after receiving a humanitarian reassignment to care for his parents who were both terminally ill with cancer. Since 1988, he has worked at Northwood Church as the facility manager and later as the IT coordinator at Northwood Academy. He was a member of Northwood Church. Richard is survived by his wife, Karen League Morgan, sons Paul McCann Searle, and Douglas Lee Morgan (Lisa) of Tulsa OK, and daughter Nikita Blanco of Keller, TX. He is also survived by a sister, Terri Lynn Morgan, of Williamsburg, VA, and grandsons Austin Morgan and Daniel Morgan. He was preceded in death by a daughter, Kellie Denise Evans. A memorial service, with military honors, is planned at 6:00PM Saturday evening, March 2, 2019, at Northwood Church, 4020 2nd Avenue, Summerville, SC. In lieu of flowers, memorials may be made to Northwood Church – Academy Scholarship Fund. I am so deeply sorry for your loss. My condolences. Ms Karen you and your family are in my prayers. Do sorry for your loss. Katen, you are in our thoughts and prayers. I did not know Mr. Morgan personally but have only heard amazing things about him. Such a loving, kind man. My prayers are for his family to be wrapped in the love of family and friends. Karen please know that you are in my thoughts and prayers and will remain there in the upcoming days. Karen, I pray that the family you were closest to will find the right words or deeds to help you. We are living in the times that try mens hearts. Our only hope is in our Creator. Lean on Him always. I know Anita would be more than happy to help, just ask her. Take care of yourself. We are devastated to hear the news of your husband's unexpected passing. Prayers for you and your family as you try to make sense of this tragedy. 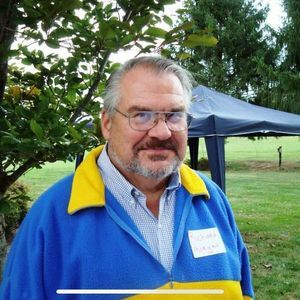 Life Stories provides friends and families a forum to post their favorite stories and memories of Richard Morgan ensuring the precious experiences are never forgotten. Share joyful times, post a photo that captures the moments you cherish, and allow others to reply, relive and remember.